Built on the site of a 19th century farmhouse the Chalet Leonardo enjoys a quiet location just a ten minute walk from the centre of Méribel. Beautifully finished in wood and stone the well-appointed interior is both stylish and comfortable. Special features include a stylish open-plan living and dining area, a traditional open log fire and under floor heating on the ground floor. 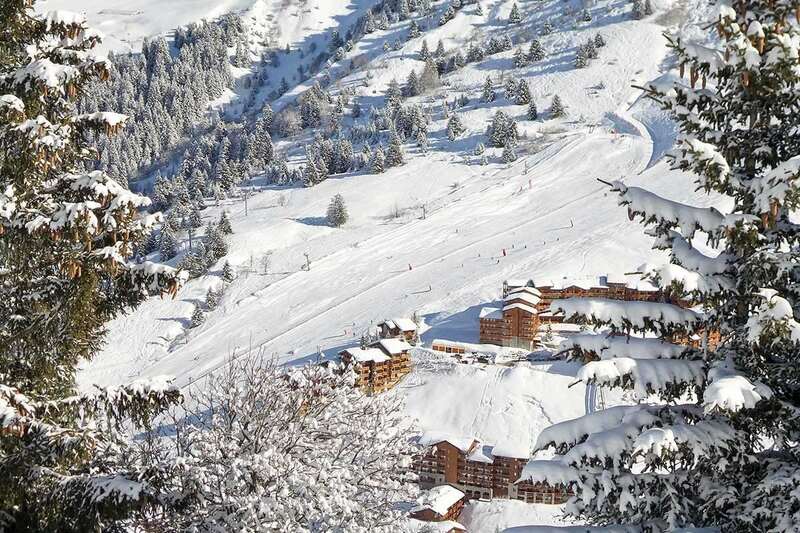 The chalet also boasts a large south-facing terrace with spectacular views of the Méribel valley. Ground floor: Entrance hall, stylish open-plan living and dining area, with a traditional open log fire and under floor heating. From the living area there is access to the large south-facing terrace with spectacular views of the Méribel valley. Small twin bedroom off the entrance hall with private bath and WC (1). First floor: 4 twin bedrooms with private bath and WC (2, 3, 6 & 7). 2 double bedrooms with private bath and WC (4 & 5). Second floor: twin bedroom with private bath and WC (8). Split level room with twin beds and mezzanine floor with twin beds (only suitable for 12yrs and over as accessed via steep ladder), private bathroom and WC (9). Very large apartment style room (max 5 adults or 4 adults & 2 children) with double and twin beds and small twin bedroom with skylight sharing a private bathroom and WC (10).